A. Packed red blood cells (PRBCs). Each unit provides 250-400 cc of volume, and each unit should raise hemoglobin by 1 gm/dL and hematocrit by 3%. PRBCs are usually requested in two unit increments. B. Type and screen. Blood is tested for A, B, Rh antigens, and antibodies to donor erythrocytes. If blood products are required, the blood can be rapidly prepared by the blood bank. O negative blood is used when type and screen information is not available, but the need for transfusion is emergent. C. Type and cross match sets aside specific units of packed donor red blood cells. If blood is needed on an urgent basis, type and cross should be requested. D. Platelets. Indicated for bleeding if there is thrombocytopenia or platelet dysfunction in the setting of uncontrolled bleeding. 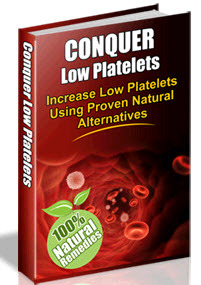 Each unit of platelet concentrate should raise the platelet count by 5,000-10,000. Platelets are usually transfused 6-10 units at a time, which should increase the platelet count by 40-60,000. Thrombocytopenia is defined as a platelet count of less than 60,000. For surgery, the count should be greater than 50,000. E. Fresh Frozen Plasma (FFF) is used for active bleeding secondary to liver disease, warfarin overdose, dilutional coagulopathy secondary to multiple blood transfusions, disseminated intravascular coagulopathy, and vitamin K and coagulation factor deficiencies. Administration of FFP requires ABO typing, but not cross matching. 1. Each unit contains coagulation factors in normal concentration. 2. Two to four units are usually required for therapeutic intervention.